Pick and Place Machines | PAK Automation Ltd.
PAK Automation pick and place systems perform repetitive tasks in a number of industries, mainly in production and lab environments. The main benefits of PAK pick and place systems are cost effectiveness and precision. Our team of automation engineers design and build custom pick and place equipment tailored to your requirements. Our solutions provide exceptional precision, efficiency, increased throughput and long-term savings for your business. Our expertise in a range of industries from manufacturing to medical devices and pharmaceutical allows us to design the most effective and efficient systems for your applications. 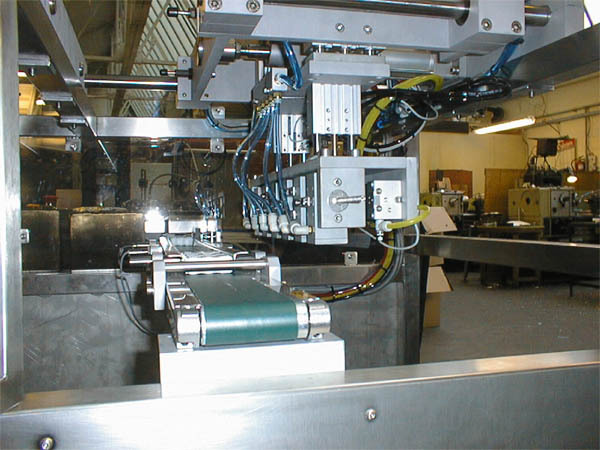 Our pick and place systems typically consist of a number of components including, linear motor technology, servo-driven slide mechanisms, SCARA robots, multiple pick and place positions, and pneumatic pick and place systems. As with all of our products, our systems can easily be customised. Specialized grippers, high cycle rates, SCARA robots, rotary joints, vision systems or registration elements can all be incorporated into the design you require. Our engineers will deliver your system on time, and without any unwelcome surprises.